Infrared heat, for complementry heat therapy. Acu-node, for stimulating massage.Hydragel dampening System: performance innov ation for energy transfer to the massage head not the handle. 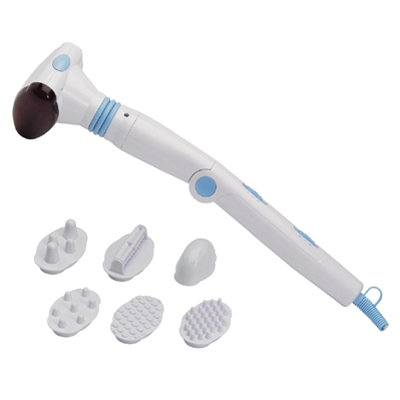 Infrared Body Massager - Non slip handle adjustable to Different positions. Powerful massage action in a lightweight design. Soothing infrared heat. Body Massager Available with changeable massage attachments.